being MVP: Marvelously Well-Mannered: Kindness Kingdom & Giveaway! Marvelously Well-Mannered: Kindness Kingdom & Giveaway! Recently, I took my daughter to the public library and she chose to check out a book about tea parties. 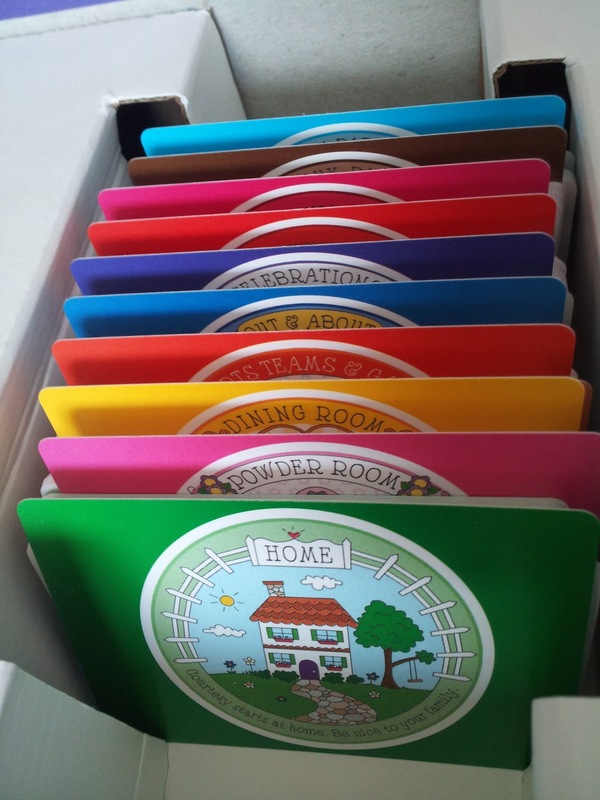 The book contained detailed instructions about how to plan and prepare for a proper tea party. 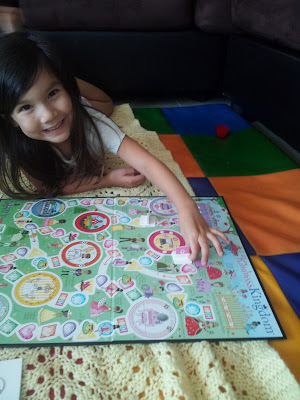 My daughter was so excited to learn about traditional tea party foods and etiquette, and I was excited that she was interested in learning more about good manners. So when I saw the game Kindness Kingdom, I knew it would be perfect for her. 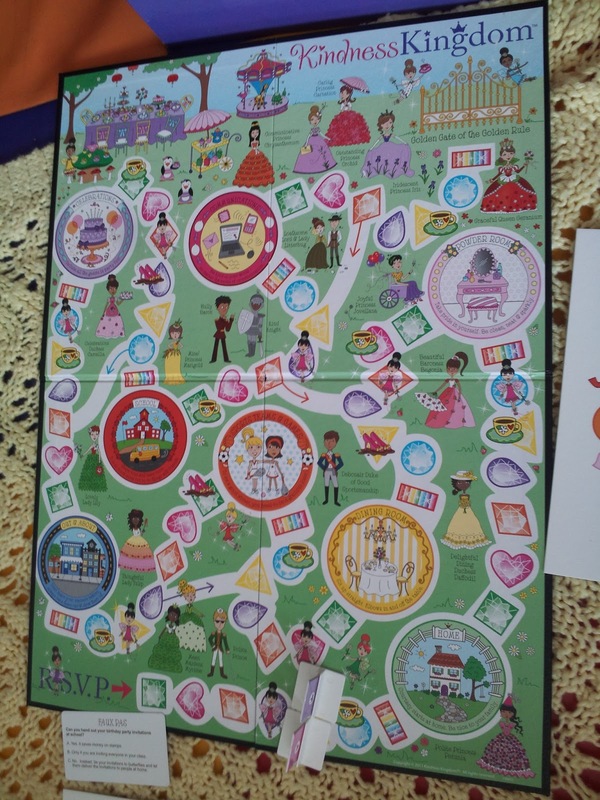 The board game from Marvelously Well-Mannered, which is made in the USA, features trivia questions about tea party customs. Its characters are all related to the theme and have the cutest names, such as Loathsome Lord and Lady Litterbug and Polite Princess Petunia. The finish line in this game is arriving at the Golden Gate of the Golden Rule and entering the tea party, after players have successfully passed through all of the eight neighborhoods. My favorite part about this game was that even after a player wins, the game is not over. They are encouraged to cheer other players on while they each finish the game and reach the end. This was important to me, since at this age, some board games can be difficult because of the competitive atmosphere of winning/ losing. 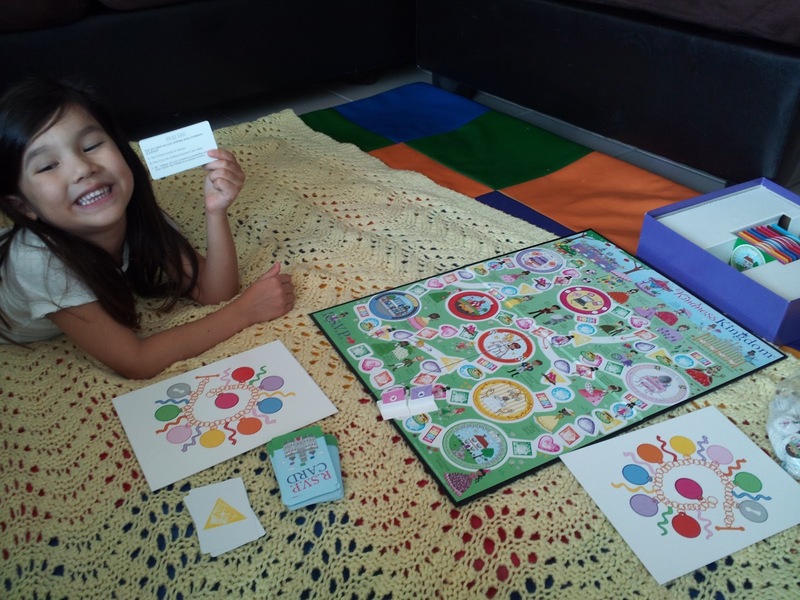 When we received Kindness Kingdom, my daughter was anxious to try it out. I decided to wait until baby brother was napping because there are a lot of tiny pieces involved with the game. Unfortunately, it took me quite a while to read the directions and figure out exactly where to begin. I was surprised at how incredibly complicated and intricate the instructions were considering this game is designed for ages 5+. I read the instructions over and over and I still had trouble figuring out the rules of play. There are a lot of components to this game. We eventually decided to just start playing and do our best to figure it out as we went along, but even then I wasn't 100% certain that we were playing it correctly. We did get the hang of it though, and my daughter definitely enjoyed the game. She enjoyed learning about how to host a tea party, which foods should be served in which order, and the proper way of setting the table. 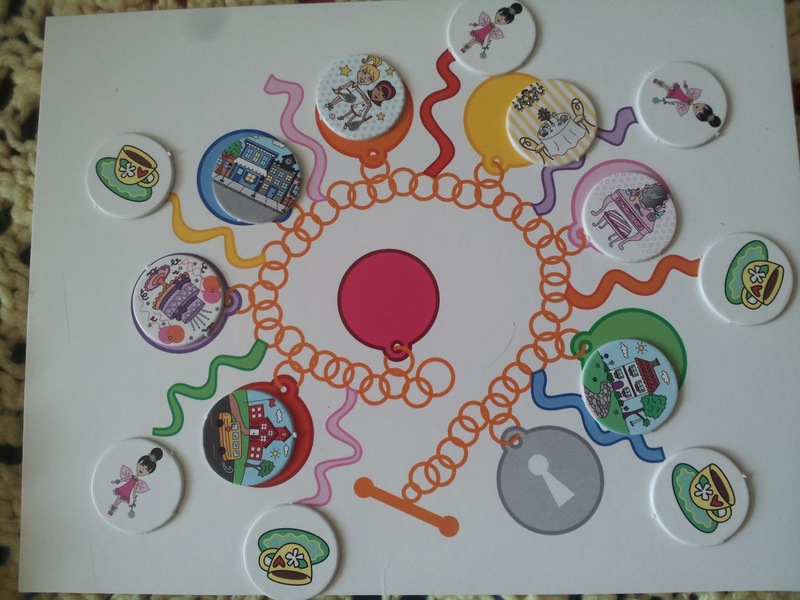 Kindness Kingdom includes bracelet cards, where players can collect charms to add on to their bracelet. My daughter loved this part, since she inherited my love of jewelry. Kindness Kingdom teaches young girls a lot of important life lessons that are not necessarily related to tea party etiquette. For example, in the Sports, Teams, & Games category one question was “What do you do when the referee calls your shot ‘out’ and you know it was in?” A) Loudly argue and make your point B) Accept the call without comment and focus on the next play C) Sarcastically ask “Where is your seeing eye dog?” On the back of each question card, there is an explanation of why the correct answer would be the best choice for the given situation. I liked that the game encourages random acts of kindness and empathy towards children of differing abilities. Also, I must add that the illustrations on the board are absolutely adorable! 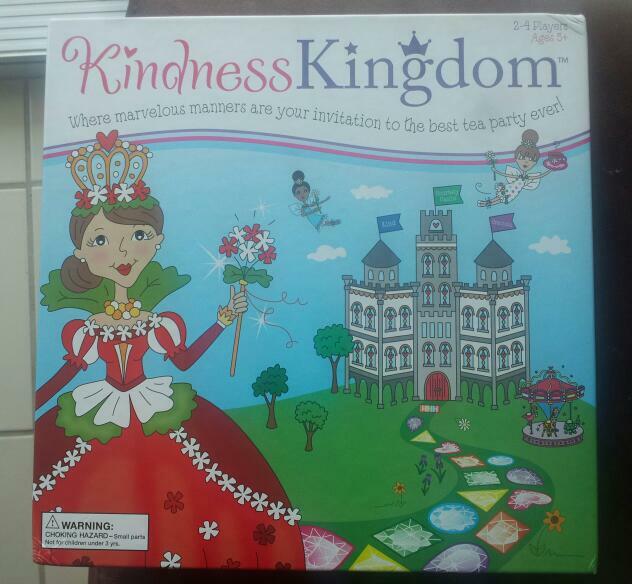 Kindness Kingdom is the first board game from parent company Marvelously Well-Mannered. It is designed for 2-4 players. The concept for the game comes from Jessica Marventano, who is certified to teach manners and universal rules of etiquette to young children and teens by the International School of Protocol. I love that this is a family business. 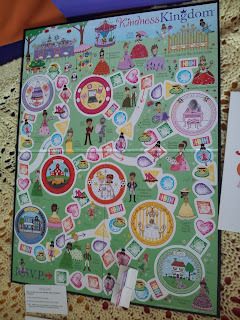 Kindness Kingdom was a collaboration between Jessica, her mother Catherine, and her sister Jennifer. Growing up, they were taught that courtesy starts at home and they feel that they want to share that with today’s youth. It’s a wonderful message and I am supportive of anything that encourages manners and good citizenship in such a fun way. Buy It: You can purchase the Kindness Kingdom game for $35. Make sure to Connect with Kindness Kingdom on Facebook! 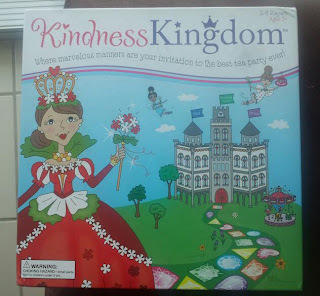 One Winner will Receive the Kindness Kingdom Game! who think life is best enjoyed when filled with social graces, good taste, elegance, humor and an abundance of fun. It is fun that it has been put together by a family. I love that the whole family can get together! I learned they are three generations of family who think life is best enjoyed when filled with social graces, good taste, elegance, humor and an abundance of fun. Thanks so much for the fantastic giveaway! 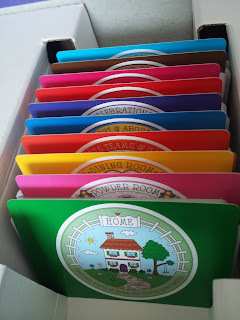 I learned and agree with the statement " courtesy starts at home"! I learned that the rules of etiquette will give you confidence in any situation. I love how it teaches rules of etiquette for just about everything, including death. I learned that “Marvelous things” are behaviors that you can develop to make your life more marvelous!